Hello, as announced few months ago, resistance wars will be turned off on Monday 30/11/2015. Relating to your question: “Any changes in battle drops for the last days of the server?” Yes, during last week there will be a great chance to drop many lucky charms. We will publish all the details about MERGE within a few days. Have a great weekend! Hello, we want to make baby boom in Russia. Could anybody help us with small translation into Russian? “e-Sim is a virtual world based on politics, economy and wars. Here you can become a political party leader, businessman or fight in defence of our homeland! Today Romanians hold a strong position on a european stage. We have full control over territories of Moldova. Be a part of online Romanian community. Together we can defeat Hungarian players! Hello players, we would like to start baby boom in Romania. Could you help us with translation of those slogans and advertising text? Slogan should be short/ funny and not very offensive. If some words don't sound good in your language you can modify them a little. Romania will take care of your country. BORED BY DAILY ROUTINE?! MEET DOGAR! DOGAR is our new friend. 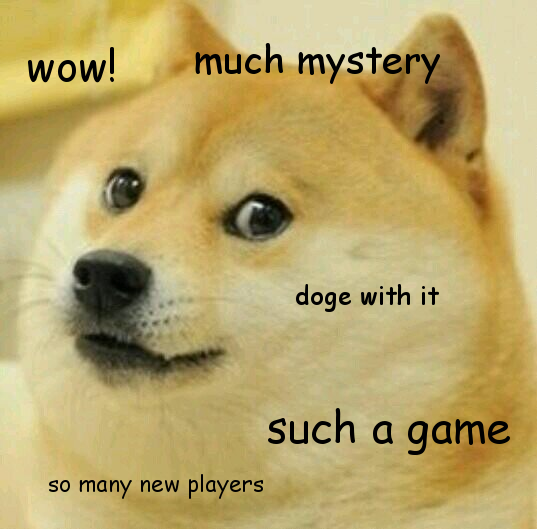 Please give him some feedback (here or at dogar.net) to make the game even more doge! We are delivering a few weapons to help you liberate Moldova also in e-Sim.